Free Transfers to/from Melbourne Airport. All inclusive rental car rates that include GST and comprehensive loss/damage cover with options to reduce your total car hire liability to zero. No Vehicle Registration Recovery fees. Vehicle delivered to your Location, no need to find transport to get to our depot. Free deliveries of vehicles to nearby Hotels. Free Child Seats and Booster Seats. “NO STRESS’’ PACKAGE include GPS navigation and baby strollers. Melbourne, the capital city of Victoria, has grown swiftly as an admired tourist destination. In addition, this city also holds surplus opportunities for business prospects as well. Also known for wineries, Melbourne has a lot of attractions that are worth exploring at least once in your lifetime. Whether you are travelling to Melbourne on a business trip, explore wineries or just want to enjoy the picturesque sceneries, car rentals become crucial. If you are travelling with your family or small kids, it becomes unwieldy to rely on public transport or hiring a car. In that case, car rental Tullamarine makes perfect sense as you can travel around the city at your own pace. There are many cheap car rentals around Tullamarine airport that can fulfil your travelling needs during your Melbourne trip. One of the major benefits of car rental is that you can choose from vehicles of different makes and models. After evaluating your travel needs, you can choose the one that can accommodate your travel needs. Most of the car rentals offer complimentary airport transfer services, especially if you choose car hire for a long term. Of course, you have to book the car well in advance so that you can avoid the last minute hassles. With a car for rent in Tullamarine, you don’t have to worry about child seat as most of the car rentals provide them without any extra costs. Your entire Melbourne trip will be backed up with driving assistance, which means that you don’t have to drive the car yourself. A well-experienced driver familiar with the important itineraries will be appointed by the car rental company. If you are serious about saving a great deal of money, you can look for cheap car hire Tullamarine. In fact, you can make considerable savings on car hire when you book a car for long term. After reaching Tullamarine airport, you need not have to look for car rentals as you can have someone waiting for you at the airport before your arrival. 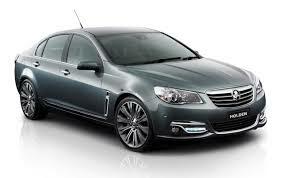 AUZ Rental Cars provide cheap car hire services in a professional manner. No matter what your intention is to travel Melbourne, we can fulfil your travelling needs by providing an appropriate vehicle at an affordable rate. Website design, SEO Services by Verve Innovation - SEO Company Melbourne. Please enter your email address below and click 'Submit' to save a quote. A underage surcharge of additional $23 per day applies to the term of rental. All drivers must hold a full Driving Licence for atleast 1 year and additional excess of $600 applies to the chosen insurance cover in the event of an accident.